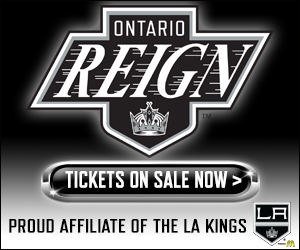 The high-scoring Ontario Reign are back! 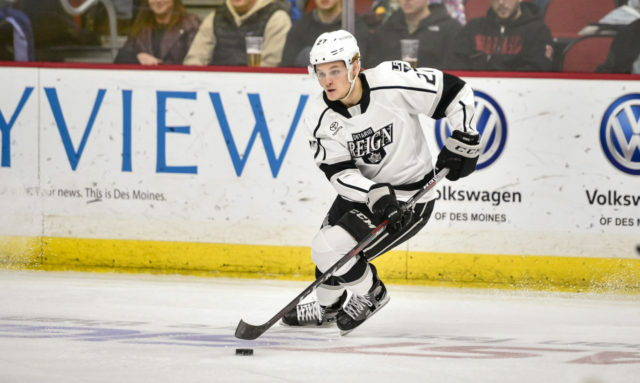 Coming off of a 6-5 overtime defeat in Stockton on Saturday, the Reign returned to the win column with another 6-5 game, this a victory in regulation over the Iowa Wild in their first head-to-head meeting of the 2018-19 season. 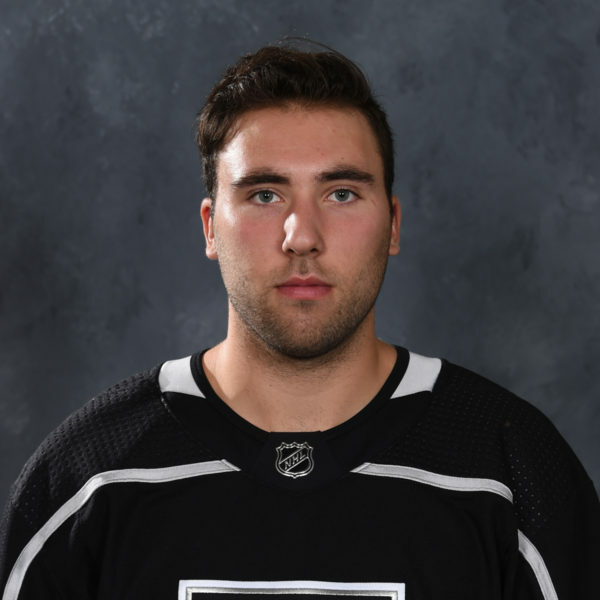 Forwards Matt Moulson (2-1-3) and Mike Amadio (1-2-3) each collected three points in the victory, two of six Ontario skaters with multiple points on the evening, with Amadio scoring the game-winning goal in the third period. Forward Sheldon Rempal collected the first Gordie Howe Hat Trick of his professional career, picking up a goal, an assist and his first professional fight in the victory. 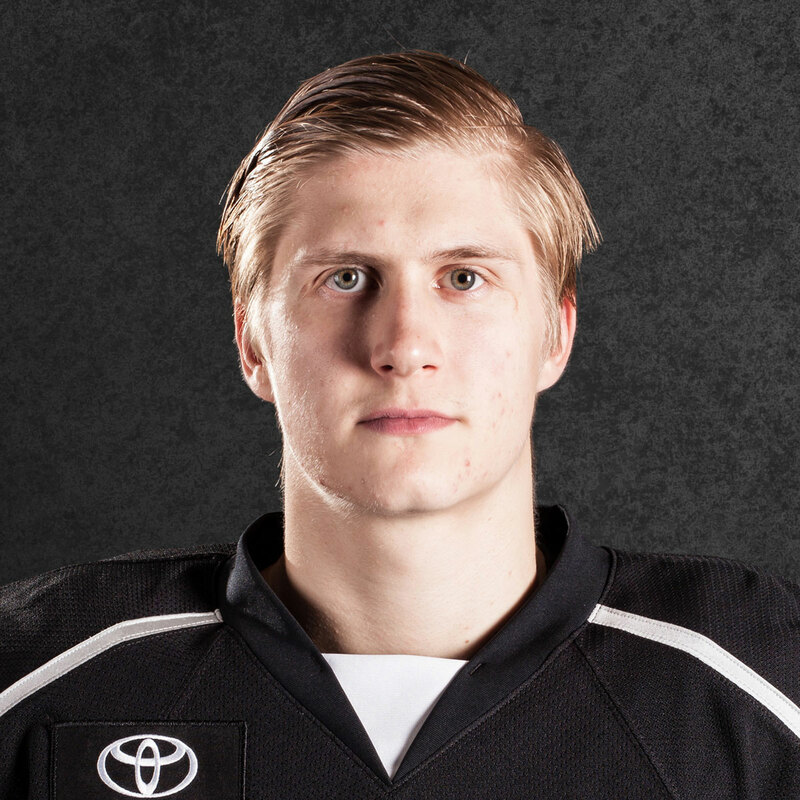 Rempal’s assist came on forward Nikita Scherbak’s goal, his first in four games as a member of the Reign and his second from nine total AHL games this season, also spanning his time with the Laval Rocket. 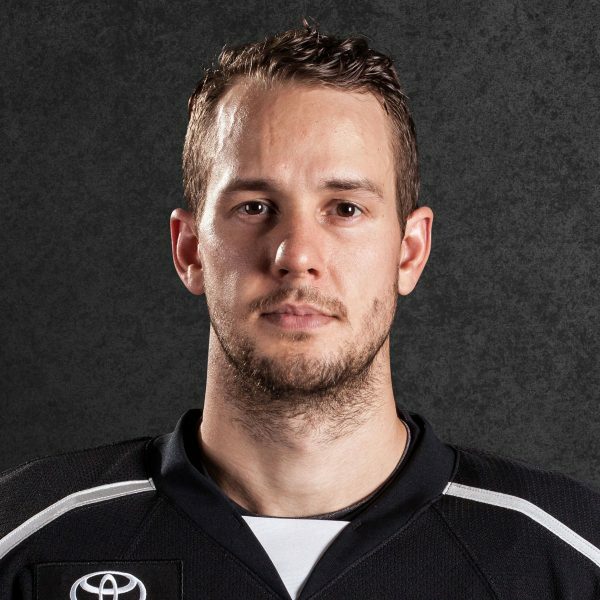 Forward Brad Morrison also scored, his second straight game with a goal, while in net, Cal Petersen stopped 32 of 37 shots as he posted his fourth victory of the season. 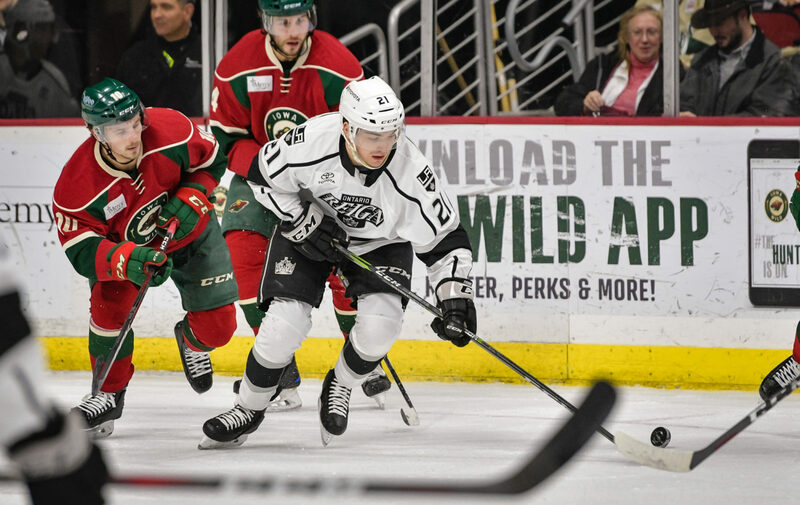 Petersen’s win was his first in his home state of Iowa, previously losing his lone tilt here against the Wild, a 3-0 decision in October 2017. 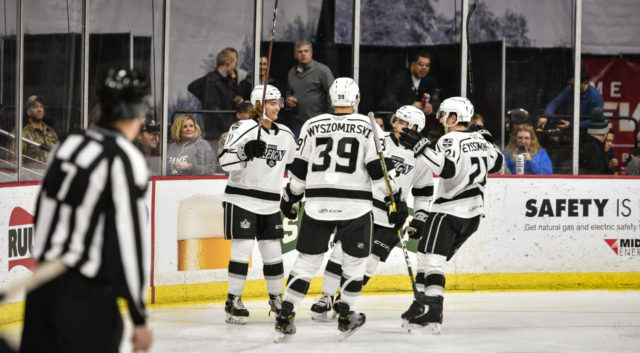 The Reign have now collected points in three straight games, earning five of a possible six over that span. 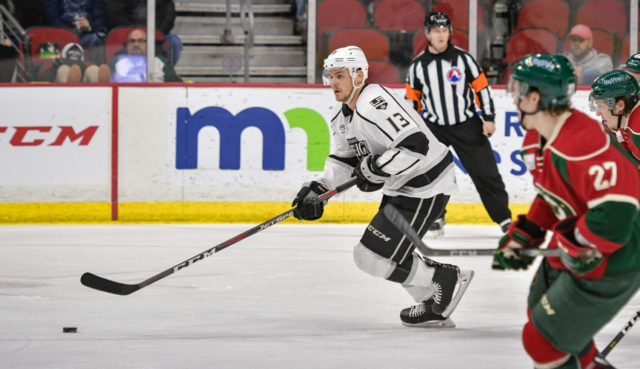 Following a seven-game stretch where the Reign amassed just 10 total goals, the Reign have now scored 11 over their past two contests, moving back in line with the high-scoring hockey the team was playing at the beginning of the season. Ontario and Iowa are back in action tomorrow evening, as the two teams will once again square off at Wells Fargo Arena in Des Moines. 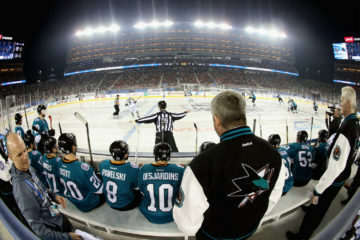 Puck drop is slated for 4 PM Pacific in the second half of the back-to-back set. It felt good, it was just good to get two points. I have great teammates out there that made it easy to play. It was a fun game to play in and I think it was a good first one. I’m just looking to get better and help out. It’s really easy, it’s half the reason I had a lot of fun out there tonight. He was talking to me all night, supporting me and he made it really easy on me out there. I was just trying to take away the middle. I think they had two one-timers on the 3-on-1, so I was kind of ready for just a quick pass and a shot. I saw the top guy had his head kind of buried a little bit, so he caught it and let it go, so I just wanted to get in front of it. It’s part of my game so I was just trying to do my job out there. Just take care of your body. Get fluids, get some good rest, some good food, a foam roll, stretch, get whatever you need to be ready to battle again, because I’m sure we’ll see their best tomorrow. 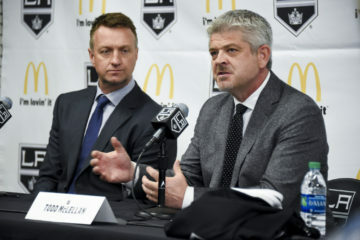 Well, I don’t know if you can say that the offensive touch is ever back with the Reign, I mean, we had some games, yeah, but there was a lot of activity at both ends. I don’t know, we had some pucks that went to the net, the power play looked good, but we need to have the consistency to do that and we’re still in the bottom end of the league as far as goals per game. As a matter of fact, there was a one-goal differential between the amount we score and the amount we give up and that’s significant. We’ve still got a few things to work on but we’re happy with the end result and a reason to be excited for tomorrow. Well, Dermy’s one of the best defensemen on our team. 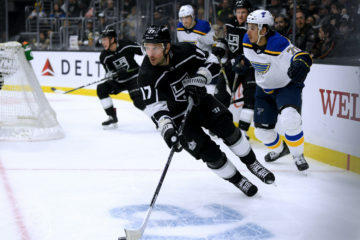 It’s not doing our team much good to have him playing up front when we needed him on the back end to help settle things down and to help spell guys like Royzie. Royzie got a heck of a lot of ice time tonight. That’s where he’s a best fit for us, right now. We experimented with him up front and then when we needed him, we put him back where he feels most comfortable and where we’re most comfortable having him. That’s not to say, though, that he won’t be up there again tomorrow. 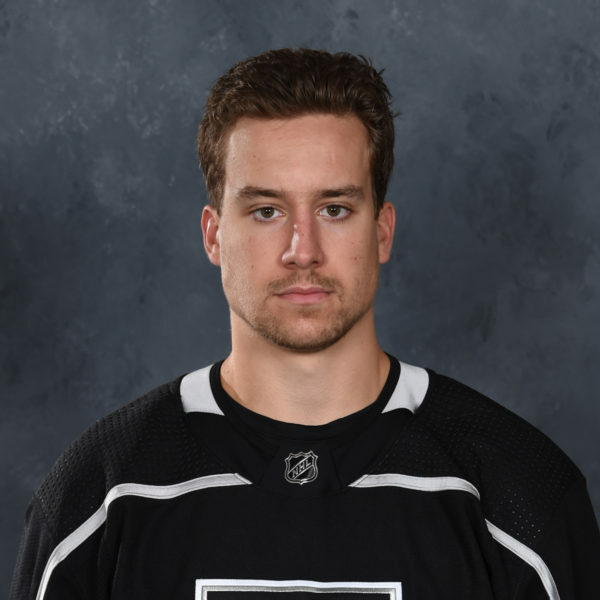 I thought he was pretty solid for us, kept it pretty simple, played a physical game when he needed to, had a big shot block that led to a goal for us going the other way. The little things, that sometimes turn into big things for us. I think he was probably a little nervous, being his first game this year, but he contributed to our backend so good on him. He’ll be playing again tomorrow as well. When you move Dermy back, you’re one slot shy up front. Baumer can take draws for us as well, so it’s nice, towards the latter stages of the game, or you’re trying to protect the lead or whatever and you need d-zone faceoffs, it’s nice to be able to have two guys to be able to throw over the boards that can take a faceoff. He’s a pretty responsible guy, he can play all three forward positions and he’s not going to hurt you. The thing I like about the Baumer is that he’ll do anything to win. If you’re looking for somebody to lay down and block a shot, he’s going to take that bruise for the win. That’s a big part of his game. Coaches love him because he plays with a lot of energy and he plays with a lot of passion.